No construction project should start without a blueprint. 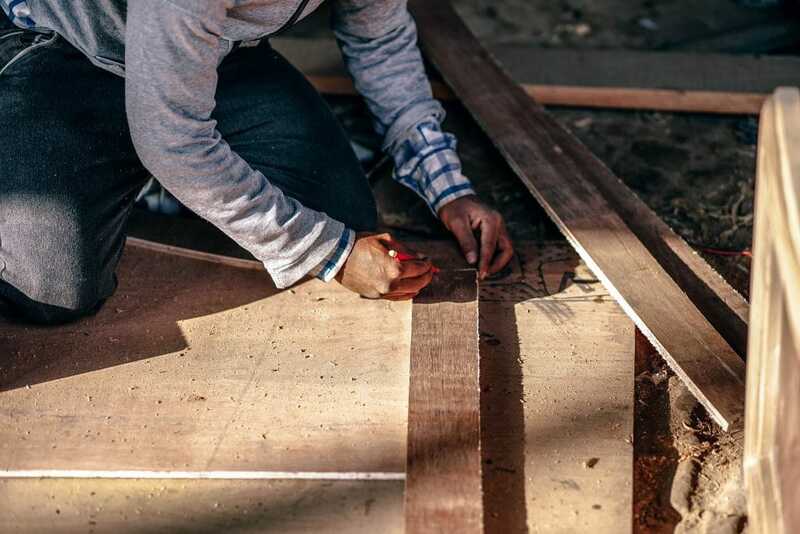 By creating the blueprint, you will be able to assess the tools and materials needed, the time it will take to complete the project, any permits you will have to obtain, and will serve as a go-to guide when you need it. The right tools can help your project go smoothly. Every tool has a different function, and knowing which tools are designed to meet the needs of your project is key. If you are building a frame, having the right nails is essential to the completion of that task. Having a tape measurer and level to make sure you have the right dimensions in place is key. Using tools that are built for multiple applications such as a coil framing nailer will help speed productivity and allow you to work efficiently. Regardless of where you are working, having the right lighting is a must. The right lighting will assist in showing proper marks and where items need to be cut. Every site designated for new construction must be properly prepared. If foundations need to be laid, the soil must be able to handle the weight. Additionally, sections may have to be dug up to pour concrete, etc. In the construction industry, being safe is a priority. If you are tackling a project on your own, there are a number of precautions you should take before, during and after the project. You must have gloves and safety goggles to start. You should also wear protective gear, including the right footwear that will protect your feet and hands. Every machine should have a safety switch that will stop operating once touched, and you should have proper training on using the machine prior to operation. If you will be doing heavy lifting, wearing a brace will support your weight throughout the process. Knowing how to start building wall frames is important. It is a process that requires complete accuracy. Having the right techniques to get your project in order is key in eliminating time and wasted effort on areas that cannot be completed in one task. By snapping your lines and setting the plates in place by drawing a map of the walls on the floor, you will be able to accurately determine if your measurements and other dimension are correct and match your plans. After you have done this, you can measure and cut your plates that will be the exact lengths you need. Your windows and doors help create the foundation of new construction, and should be marked before laying out the studs needed. To do this, look at the blueprint, find the center of each door or window opening and divide that number by two on both sides. Once you have the exact area, mark the outside with a “T” to denote where the trim will be. Measure these over 1 -1/2 inches and then draw another line, marking and “X” outside of the marks to denote where the king studs will be placed. Set your plates side-by-side, transferring the marks from the top to the bottom using a square. Mark the wide face to properly align twisted studs, while tacking the pairs of place together so they will not get separated or mixed up with other plates. To begin, calculate the lengths of the headers by adding 3 inches to the width of the rough opening. Then, add 6 inches to the headers that require two trimmers on each side. Cut these header parts, nailing them together. Make sure to label them. If your plans have openings with cripples up above the header, cut and nail the king studs and trimmers first. You want to position them and then nail to the plates. Set the header on each of the trimmers, nailing them through the king studs to hold firmly in place. Then measure, nail and toenail the bottom of the cripples to the header. These are ten things to keep in mind when you are working on a new construction project. Most of all, know when to ask for help. A professional construction company like BN Products not only helps you create the plan for your project but also directs you to the tools right for you. This will help you successfully complete your project while laying a solid foundation to move forward. New to working with rebar? Check out our guide.